Although when exactly is still unconfirmed and open for debate, following the PS5 concept designs this weekend president and CEO of Sony Interactive Entertainment America (SIEA) and Chairman of SIE Worldwide Studios Shawn Layden officially confirmed in an interview that PlayStation 5 will be a thing... eventually! Golem.de: When will the first game, which runs on the PS4 Pro - but no longer on a PlayStation 4? Shawn Layden: That will never happen! Golem.de: Is the Pro not the entry into the business model, that like evolution of hardware takes place as with smartphones - instead of every few years a whole new generation to build up? Layden: With the PlayStation 4 Pro we have for the first time implemented this kind of innovation within the life cycle of a console. The pro is really only to offer advantages such as 4K resolutions and HMD for players who can and want to use that. Add to this a more stable image rate and larger hard disk space. But who has a standard PS4 has no real disadvantages. Each of our games will continue to run on the classic PS4 and possibly slightly better on the Pro. Golem.de: This means that you are more likely to rely on a real PlayStation 5 - whenever that will be? Layden: Yes. It will probably be some time. While this isn't surprising to most in the video gaming industry it is reassuring to hear from an executive at Sony, so one day we can all officially begin the wait for a PlayStation 5 jailbreak and PS5 CFW! Alibghzdh, Krishna2265 and MODRuLeZ like this. Oh yes ! And Sony will give me a 50$ coupon when I'll buy that PS5 and give them my 6 months old XOX ? 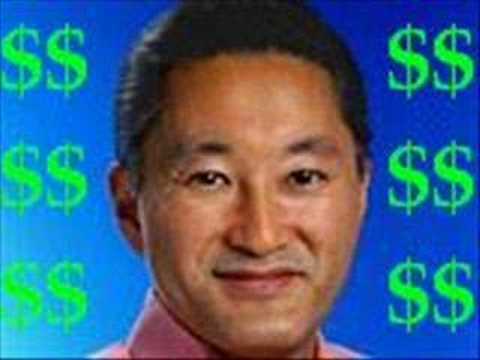 Sony & Microsoft please slap me, I'm your slave, call me "your B*TCH", take my wallet and f*ck me deeply in the a*s pleeeeez ! Finally no... I purchased a powerful PC and I'll wont come back to your world. All free Games running at more than 60fps even in 4k + all DLC + MODS + Trainers + Free online... yes ! ...and I forgot: with my PC I can boot Linux in 8k (in a few seconds) and run a game boy emulator (so fantastic!). Yeah!!! PC is ultimate gaming solution, but don't u wannna miss exclusive games of PlayStation. I have PC, believe me some times I'm bored with PC; hanging lagging and more power consumption. Games like god of war and uncharted make Sony Ps more powerful.
" sorry for my bad English ". Thanks. Should I update or wait ? Don't update if you ever want CFW or something even close to that. Well ofc they're going to make a PS5 in the future that's not rocket science. But everyone needs to booking chill the ps4 has only been out for 4 year? or 5? anyways a consoles life span goes further than that what sony is probaly and should do is a make a more powerful console like what xbox is doing but you'll be able to play with ps4 (phat) people just have better graphics and fps... Man that crap gets me heated af when people say "OOO let's come out with a ps5 oooo" like stfu please you're cancer.